RUSH: David in Charlotte, North Carolina. 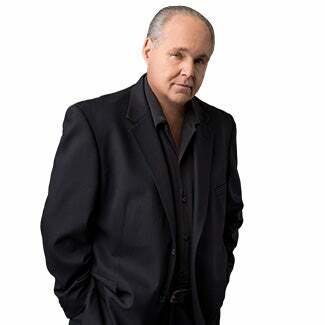 Welcome, sir, to the Rush Limbaugh program. How you doing? CALLER: — the almighty Rushmeister. Thank you for taking my call. CALLER: This is my first time ever getting through, and I’ve just gotten a great education over the last eight, 10 years I’ve been listening, and gotten to the point where I’m just so fed up with the media, I don’t listen to it anymore. CALLER: I don’t watch the news. It’s just totally made up, and I’m tired of being lied to all the time. RUSH: Right on. Right on. Right on. CALLER: And, you know, you lead in with a great piece before about the Democrats, and it reminds me of a four-year-old, but, anyway, I called because I have a different take on what Trump’s doing. Everybody is in this push-button society that you gotta get instant results, press that button and I want to see instant results. And it don’t happen that way. I’m a 35 year veteran design build general contractor, and I do my research before I design something, and figure out and make sure I can build it before I ever attempt to build it. And Trump’s doing his research. I mean, my goodness, I applaud him for all the people he’s brought in to have meetings with, he’s using the best and the top brains in the business world that he can gather. And he’s still gathering information. RUSH: Okay, I’ve got a break coming up. David, can you hang on? I’ve got a specific question I want to ask your opinion on. I’ve got a little short break here at the bottom of the hour. Can you hang on? RUSH: Thank you very much. This is David in Charlotte. RUSH: David back in Charlotte, North Carolina. Now, he’s in construction, and his point here is that Trump works on a completely different timeline — different strategies, different way of doing things — than conventional Washington. And that he’s taking much more time to size things up before jumping in with dramatic change because he’s gotta do the site survey, gotta make sure all the plans are right before he starts executing and implementing anything. Is that pretty much a good summation of your point? CALLER: It is absolutely. Absolutely. You know, even when you look back at some of the Celebrity Apprentice when he had the two different teams on, usually the team that won was the one that did a little bit of market research before so they knew what the hell they were doing. Just makes all the difference in the world when you understand and then you can move forward, because you know all the steps that you gotta go through. And it makes it a lot easier. And, you know, of course, we got these little baby whiners out there. The Democrats and the media remind me of a couple of four-year-old twins that come crying home and screaming and tattletaling. CALLER: And as adults, which I equate the Republicans to, they’re just now getting a grip on this, and it’s a cycle that’s gotta be broken and changed, because it’s been so monopolized for such a long time. RUSH: Okay. So essentially, we’re too impatient. We’re a button-push society. We grab our phone, we hit a button; something happens. CALLER: A building doesn’t get put up overnight. CALLER: Yeah. It takes time. CALLER: I give my clients a real good representation of how long it takes me to do stuff. RUSH: Well, then good for you. Good for you. CALLER: That comes from experience, but then you also got this thing called “the creep,” you know, where the job grows but they think it’ll get done in the same amount of time. RUSH: Right. But then there’s The Money Pit aspect to it, too. CALLER: Well, yeah. But again, I do my market research. I go under the house. I look to check to see if pipes are running through walls and stuff. I go to the attic; I do the same thing. I try to minimize the surprises. You know? And it makes my job go smoother. That’s why I’ve been in business for so long. RUSH: “What do you mean, ’18’?” I tell them, “It’s just the way it is. You’d just better be prepared to budget 18 months and the money for it.” No matter what, it’s just the way it goes. Because once it’s in a halfway-built state, you can’t tell ’em, “Stop! Screw you. I’m moving in.” You have to let ’em finish. RUSH: And this is something I think Trump knows too. But here’s the question. I want to get your take on this — I really do — because of your perspective. RUSH: You’ve sized Trump up as, obviously — and I have, too. He’s different from what anything Washington’s experienced with or seen. RUSH: He’s got his own style based on a lifetime of successful ways of doing things. He’s got an agenda that he’s associated with now. RUSH: I could go through the top ten things if I wanted to. He’s gonna reclaim jobs, grow the economy. He’s gonna build a wall. We’re gonna enforce the law. CALLER: Like a mission statement. RUSH: Now, the first opportunity to do it, he passes. He doesn’t do anything, like in this last budget. But in the middle of it, he goes to make a speech at a rally in Pennsylvania last Saturday night, and it sounded like a campaign speech. “I’m gonna do this! I’m gonna do this!” It sounded almost like a Trump version of the Limbaugh Theorem. It was almost given from the perspective, “Here’s what I’m going to do when I’m elected,” except he’s been elected. So how do you…? Knowing Trump operates the way he does, how do you juxtapose or how do you associate it? How do you deal with Trump delivering a stem-winder in Pennsylvania on Saturday telling all these things that we’re gonna do — “We’re gonna do build the wall! We’re gonna stop sanctity cities!” — whatever it is, and then in the real world none of it is happening yet? How do you deal with it? RUSH: No. He’s not supposed to be doing that! He’s not supposed to be learning how they do it. He’s supposed to be redefining how it’s done, not learning how they do it. CALLER: Well, and he’s getting his education to redefine how he needs to deal with it. He’s really going to approach it… I’m not backing down from my support. I think he’s going to get these things accomplished, and he has my full support. I mean, I think he’s gonna get the health care bill taken care of. I mean, everybody’s gotta have it, and it just needs to be a more equitable situation that we can afford. My goodness, I’m hitting 60 here shortly, and I can’t believe how much I have to pay. Unbelievable. So this stuff’s gonna happen. I have full confidence he’s gonna make it happen, and as much as we gotta wake up Democrats to the fact that, you know, let’s join the ship. You know, let’s try to make some things work and quit frustrating the American people so we can move forward. We’ve got so much more things to work on and do and make better. RUSH: Yeah, precisely! Precisely. But… (sigh) Well, I shot my wad on this. I don’t need to keep asking the same questions over and over here. 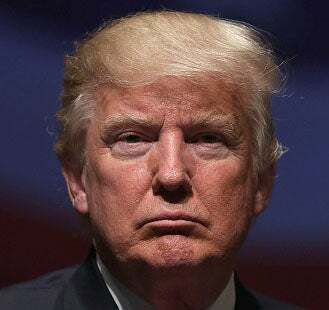 But after this first attempt to implement at least the direction if not the precise elements, the question is: Why did we bother to win the election last November if this is what happens, if the losers triumph? But I’m glad to hear you’re patient, and I’m glad… Don’t misunderstand; I’m not even arguing with you. I appreciate your perspective on this, David. I really do. And I know a lot of people appreciate your take on this, given that you’re from the same world, so to speak, that Trump is. He is — in all ways — an outsider. There’s no question about it. And I just… I hope that one thing you said is not really accurate, that he’s sizing up and figuring out how this system works, ’cause that’s not what “drain the swamp” means, unless you’re sizing it up to figure out how to explode it. I can see that that might be underway as well. But we have to be patient. There’s nothing else, really, to do here but be patient. But the next elections are coming up in 2018. It’s a golden opportunity, and the Democrats are not… (chuckling) This is the thing: There’s nothing happening. Their voters are ticked at ’em. They’re losing support. Their voters are angry, and getting angrier. It’s actually kind of an interesting juxtaposition here. They’re losing everywhere, except they’re winning when it comes to the agenda of Washington, D.C. But again, it’s not just the Democrats that are enforcing the agenda of Washington. It’s the establishment totally. Again, David, thanks much.